The global insurance industry has seen a significant changes in its role and competitive structure with international banks and financial service companies presenting competitive threats with their offering of insurance products. 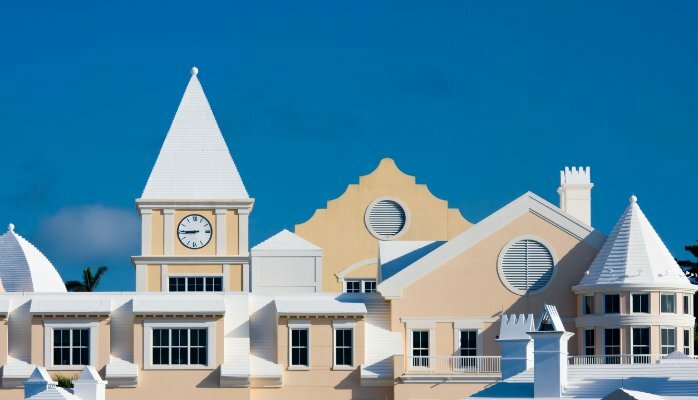 The Bermuda insurance market took the lead role on the global stage with an increasing presence through market expansion and acquisition and is perhaps second only to the City of London for insurance. In addition to new hedge fund reinsurers and insurance-linked securities, one of the key ways it has achieved this is through the development of the innovative concept of ‘captive’ insurance companies. A captive insurance company is defined as “a closely held insurance company whose insurance business is primarily supplied by and controlled by its owners, and in which the original insureds are the principal beneficiaries”. So, in layman’s terms, a captive is an insurance company formed exclusively to insure (or reinsure) the insurance risks of its parent corporation. What is the point of captives? Major Fortune 500 corporations (e.g. Coca Cola or Boeing) will set up a captive of their own in order to better control – and minimise – their own insurance bill (e.g. premium that would otherwise be paid out to a third-party insurance provider to cover workers’ compensation claims for accidents in the work place). In this way, the aim is to reduce costs from insurance claims (by adopting a rigorous vetting procedure on all claims) as well as gain access to the reinsurance market (better premium rates) and decide for themselves where to invest all the premium dollars passed down to the captive entity (thereby possibly avoiding third-party investment management fees). The industry is a huge financial market: Globally, captives generate $18 billion in annual premium. Their capital and surplus amount to $45 billion and they control investment assets of more than $100 billion. Captive insurance and reinsurance companies are an integral part of the alternative risk transfer market, which accounts for approximately 30% of global commercial premium. In all, some 4,000 captives serve their parents’ risk financing needs around the world, and this number is growing steadily, in Bermuda and other leading offshore financial centres in the Caribbean such as Grand Cayman and the BVI. One of the functions of a captive is to facilitate the efficient financing of risk within an organisation. Captive owners can be found in a wide range of sectors including multi-national corporations, associations, banks, municipalities, transportation companies, power producers, telecommunication companies, shipping companies, airlines and insurance companies. A captive serves as a sophisticated in-house risk carrier. It can be used both as a weapon and a shield to control the upswings and downturns in the commercial market. A captive can bypass many of the problems and frictional costs inherent in the insurance industry. It can be an important co-ordination tool for risk managers. A captive forms part of the overall financial planning of a corporation or organisation, and through the captive, risk management issues are brought to the attention of executive management. A captive can operate as a direct insurance company, issuing policies to subsidiaries in a group, or it may serve as a reinsurance company, assuming risks behind commercial insurers. Captives traditionally underwrite property & casualty risks, but to an increasing extent are also involved in life assurance and employee benefit schemes. The commercial insurance industry can be slow in meeting new needs and embracing new concepts. For many captive owners, increased awareness of risk management problems has paid off in loss records that are substantially lower than industry average, especially those used to set commercial rates. Many corporations, groups and other organisations have formed their own insurance subsidiaries (i.e. captives), rather than being penalised by higher premiums based on the poor loss experience of other companies in their respective industries, and have gained many risk management and financial benefits. What are the benefits of captives? Underwriting profit With a captive solution, the underwriting profit goes directly to the captive and thus flows back to the parent, not the commercial insurance carriers. Improved cash flow and investment return By controlling the captive’s premium and loss reserves and investing premium funds in the stock market, substantial investment income can be earned by the captive. This income could be used to finance expansion of the business, as a reserve or savings, and as payment of debts. This income would otherwise go to commercial carriers. Reduced overall cost of coverage Premiums paid to the captive are no longer used to subsidise the commercial carriers’ overheads and profits. This contributes to a lower premium. Also, premium rates in a captive are typically calculated according the the parent’s own claims activity history and not set by industry-wide standards. Access to the reinsurance market A captive provides an entirely new avenue through which to obtain wholesale, lower premium quotes not offered by primary insurance carriers. Unbundled support service From the owner’s perspective, with a captive it is possible to pick and choose the optimum combination of claims settlement, policy issuance, reinsurance protection and loss control. Access to otherwise unaffordable or unavailable coverage A captive has the ability to provide tailor-made policies and coverage – a feature that is often difficult or impossible to obtain from the commercial market. Co-ordination of global exposure The use of a captive vehicle ecan be complementary to the centralisation and efficient control of a multi-national insurance program. The captive insurance mechanism explained above is based on a sound concept and has a proven track record of success. However, the implementation and daily administration of this formalised self-insurance vehicle requires in-depth knowledge and experience of the insurance sector. Certain major corporations may have the know-how and resources to administer a captive internally, but many prefer to outsource their captive management to a professional service provider specialised in this area. Similarly, smaller and mid-sized companies can get virtually the same benefits of owning a captive by also following this route. Accordingly, the concept of non-owned captives or “rent-a-captives” has gained popularity. An added plus is the investment income earned on the rent-a-captive program. This is related to the time delay on the payment of incurred losses. For example, liability losses incurred in a specific underwriting year may actually be paid over a five to ten year period or longer. During this time these funds, with premiums now in the form of loss reserves, remain available for investment and the rent-a-captive participant, not the commercial carrier, will be entitled to the income derived.